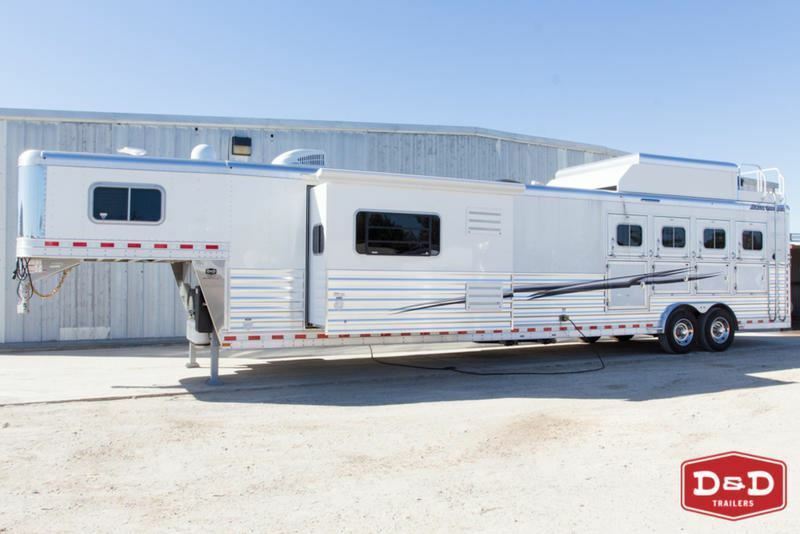 Your Elite Trailer is your home away from home. 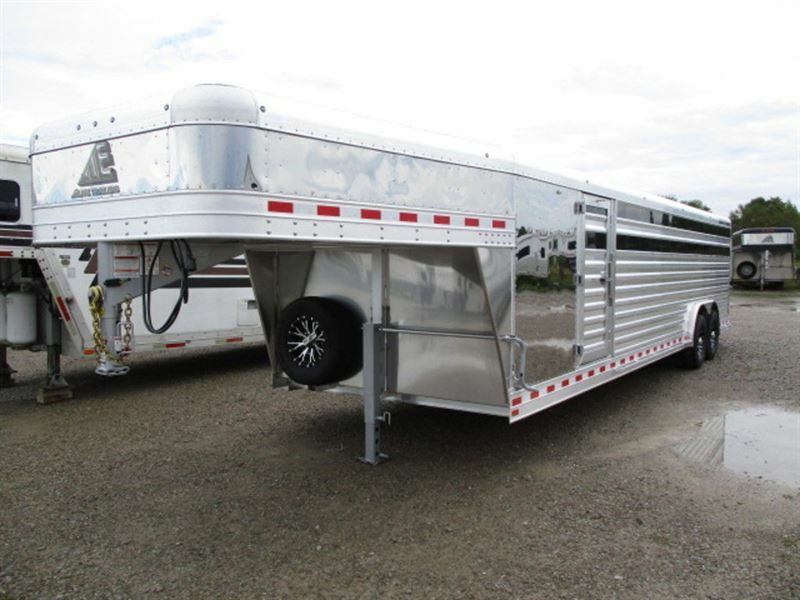 It hauls horses and livestock comfortably and safely for distances far and wide. 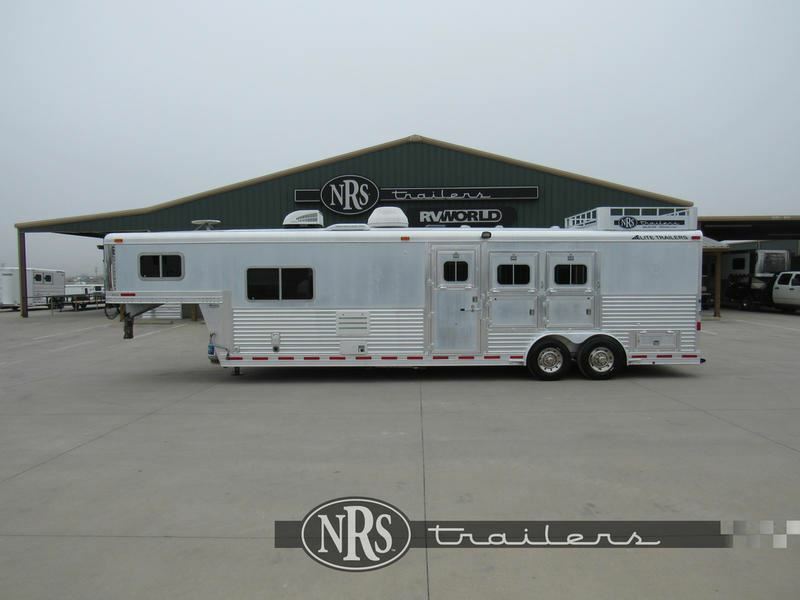 It carries your race cars and other priceless cargo to fuel your passions. 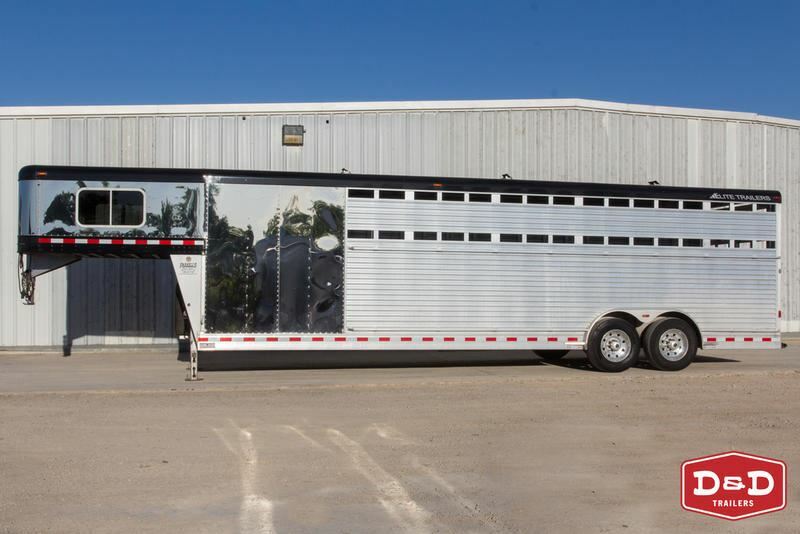 It must work as hard as you, it must be dependable, and it must stand the test of time. 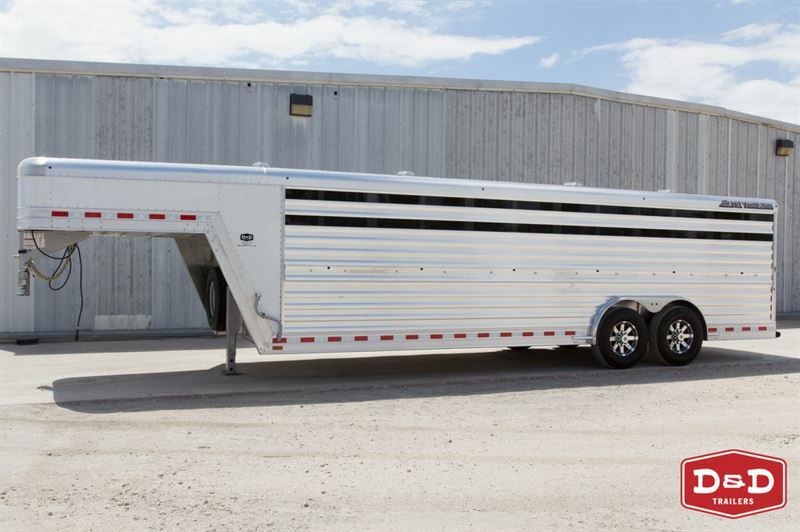 Custom trailers with impeccable quality and durability are our product; exceeding the expectations of our customers is our business. 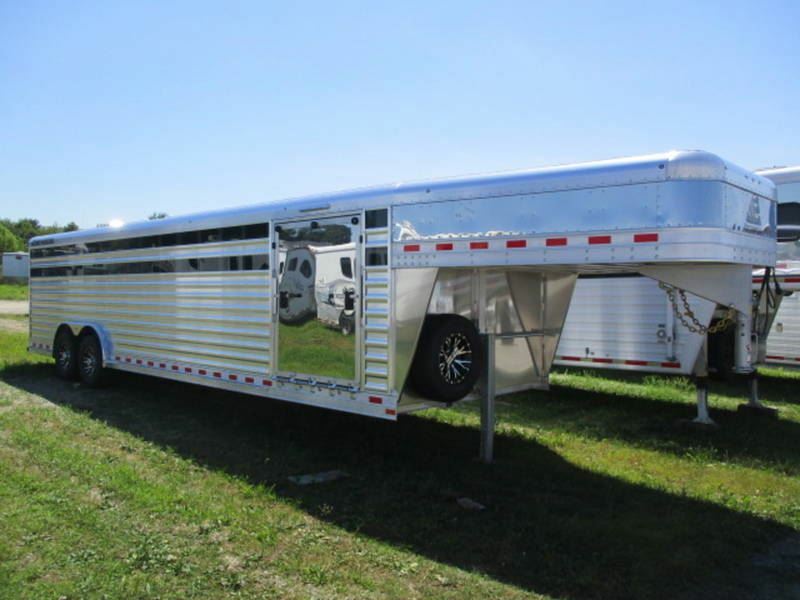 In 1995, their owners recognized a need for a quality product that was not yet being provided. 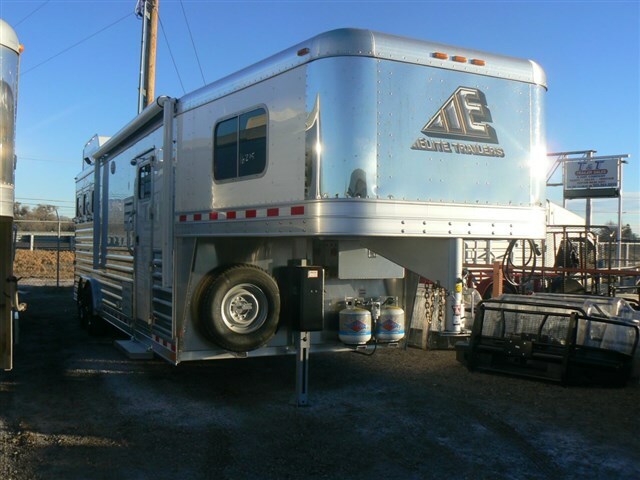 Elite Trailers was formed with the passion and dedication to producing the highest quality aluminum trailer available to the market. 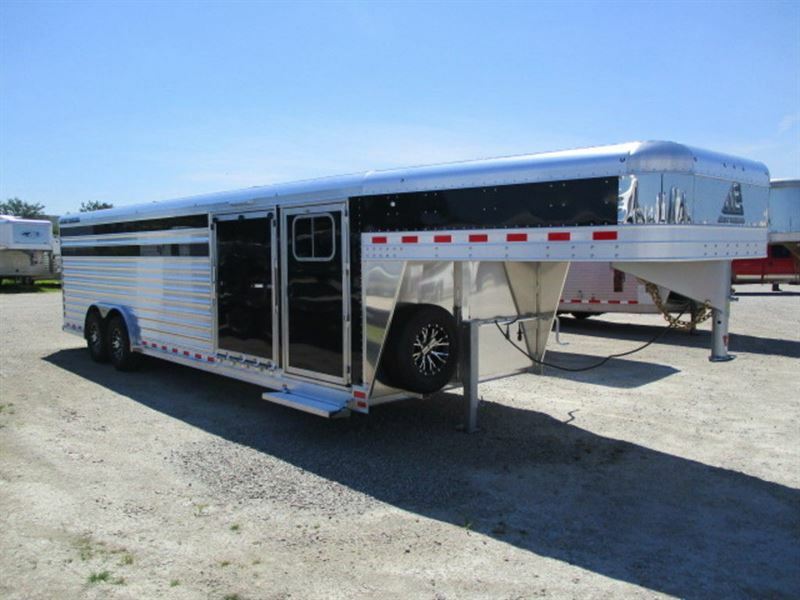 With a fully supported staff of experienced and skilled employees, their owners have built on this passion, placing the customer and trailer first and foremost. 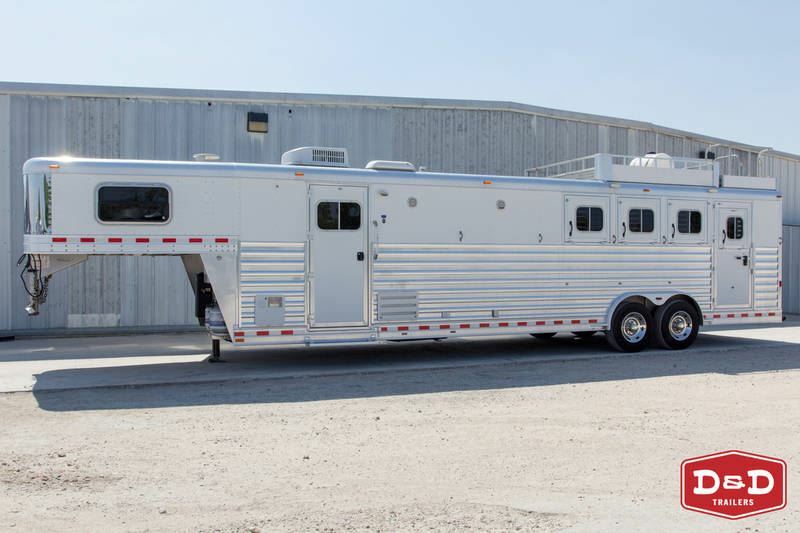 In January of 2004, after years of substantial growth, Elite moved into a new state of the art manufacturing facility. 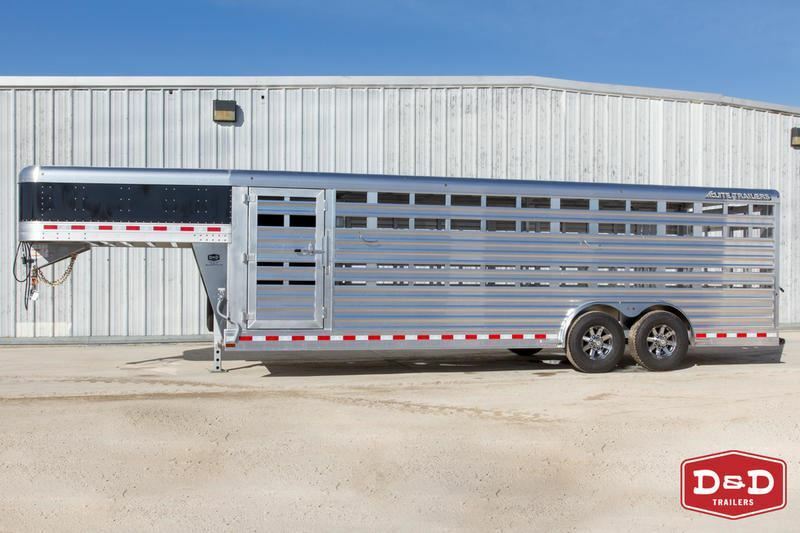 Elite’s new facility with almost 250,000 square feet of manufacturing and service under roof was designed & built with one goal: The efficient manufacturing of the world’s finest aluminum trailer. 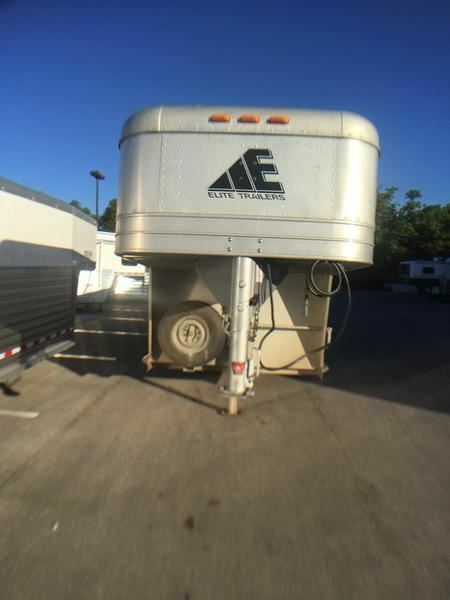 Elite has also made substantial investments computerized tooling that is second to none in the industry. 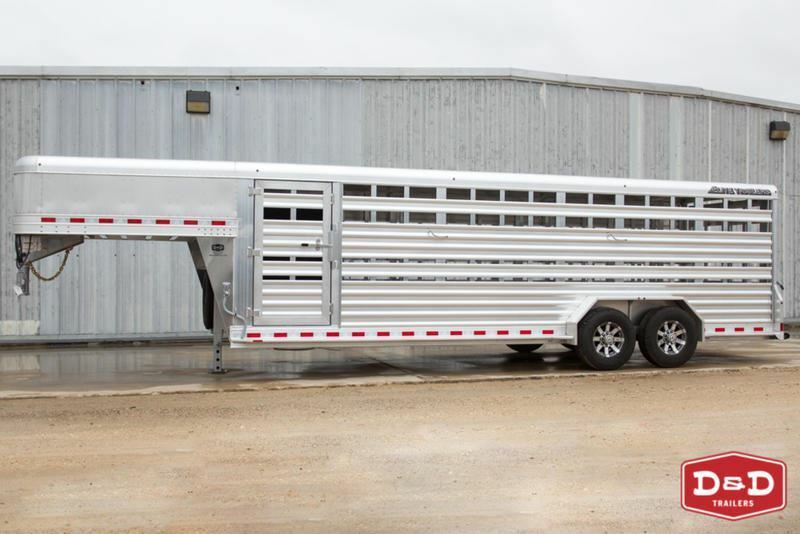 Designed to not only improve the fit, finish & structural integrity of our finished trailer, it has provided manufacturing process improvements that allow us to spend more time on the details without increasing the price of the trailer. 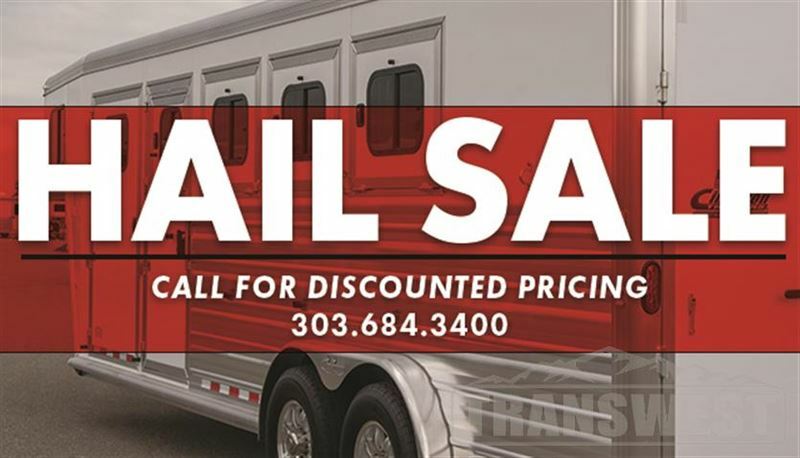 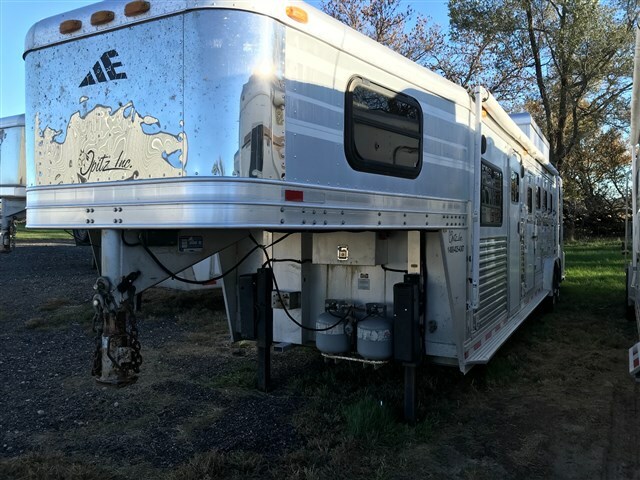 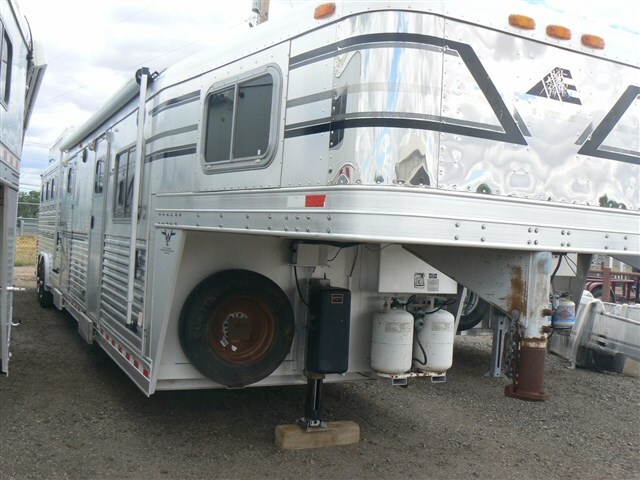 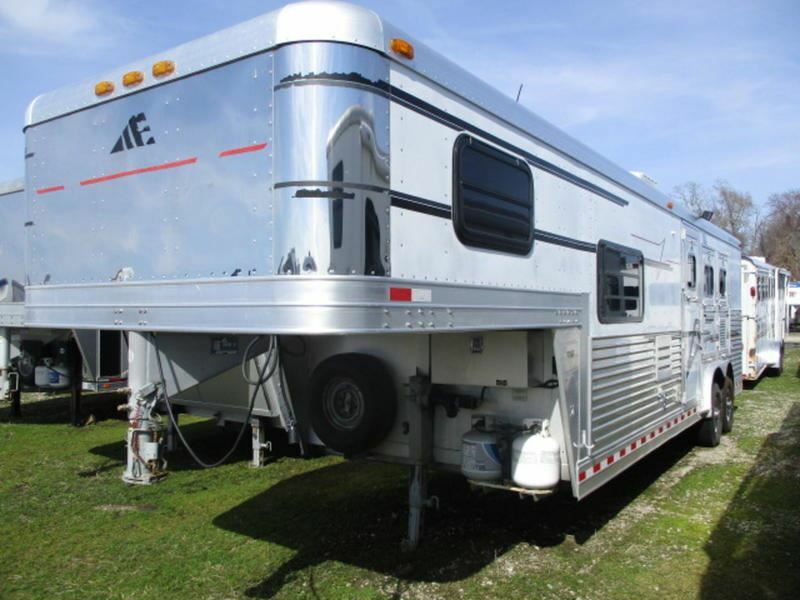 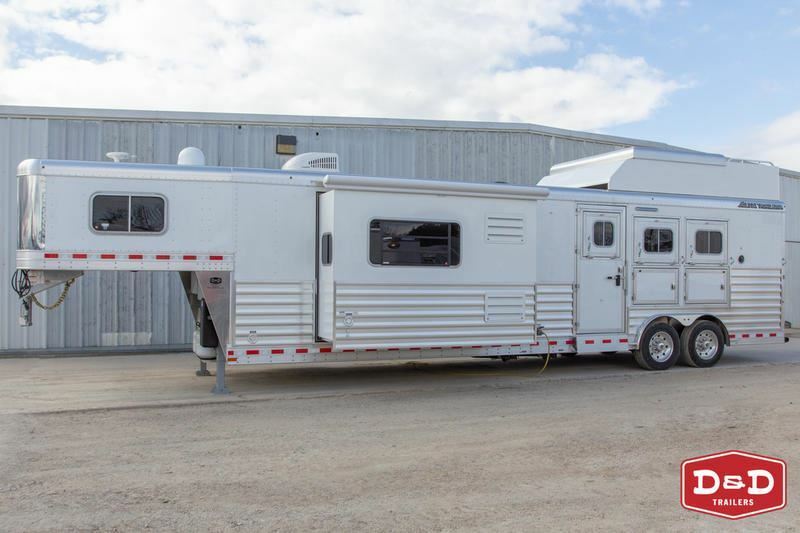 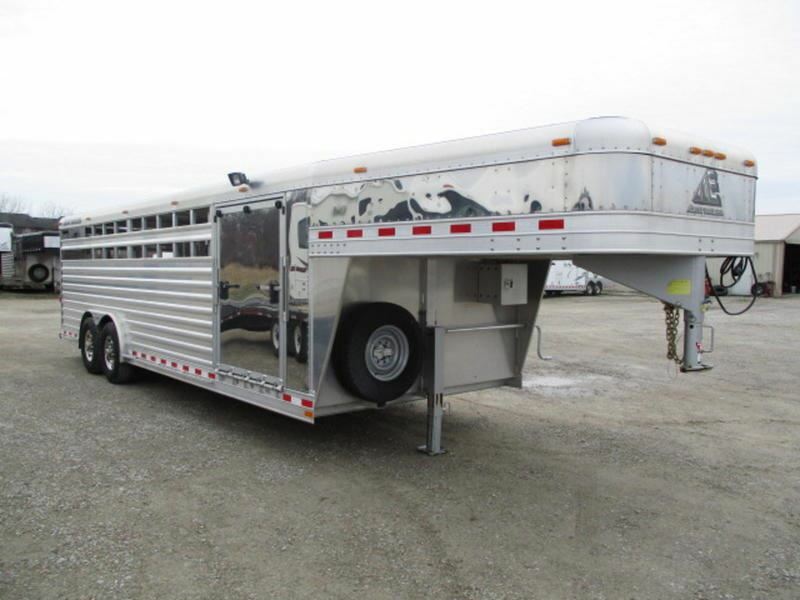 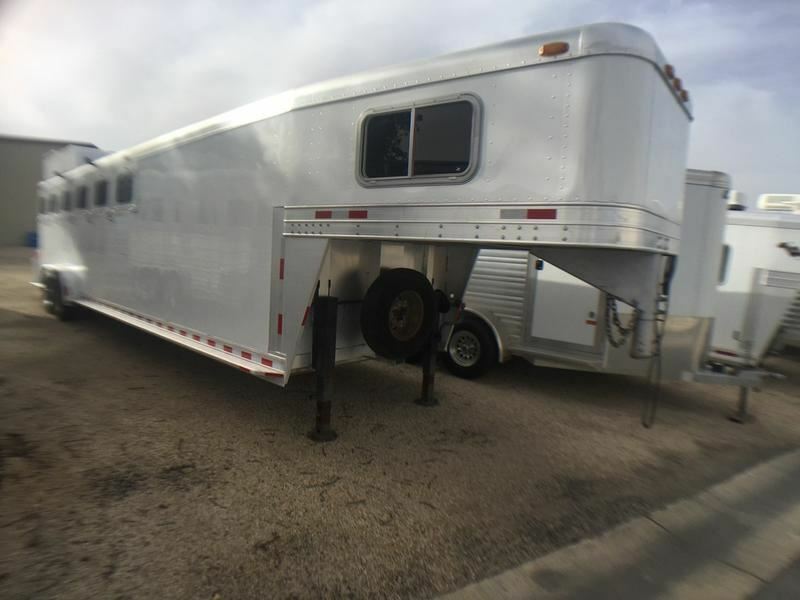 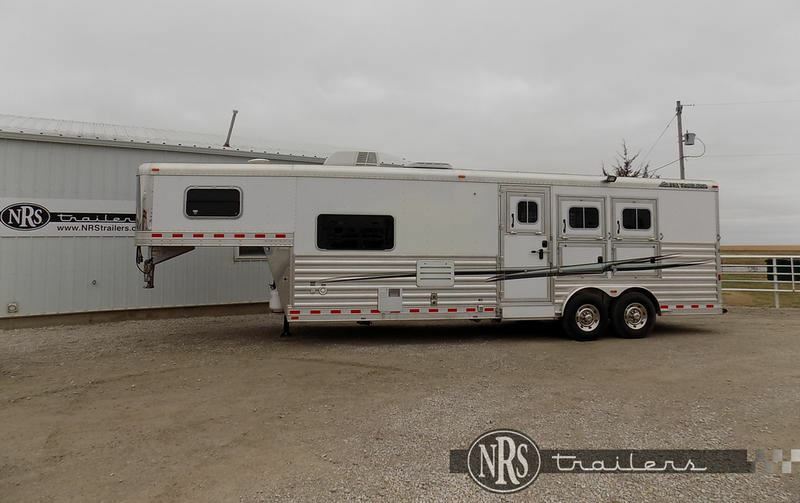 Horse trailers, include standard, custom straight load, slant load style, remuda stock combo trailers, mustang horse trailers, and colt living quarters trailer. 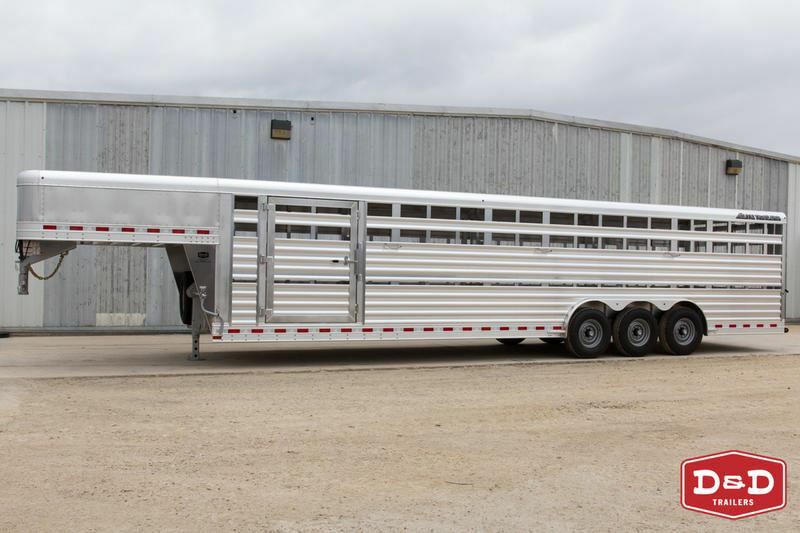 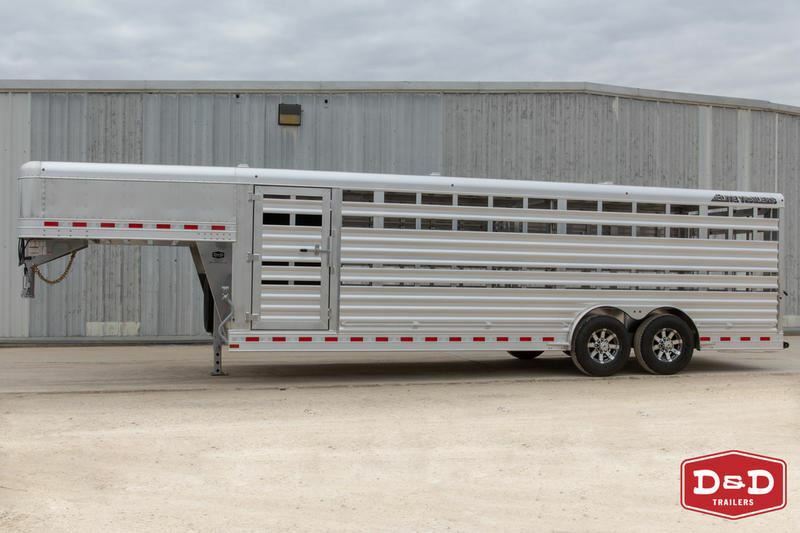 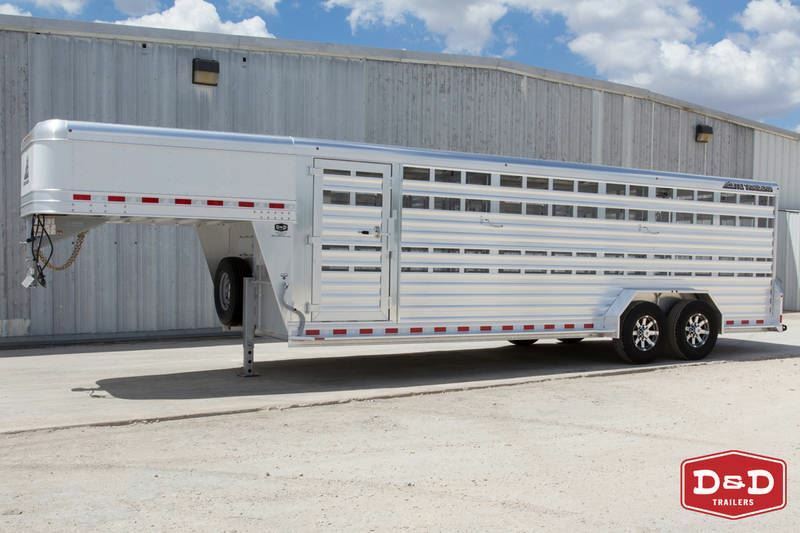 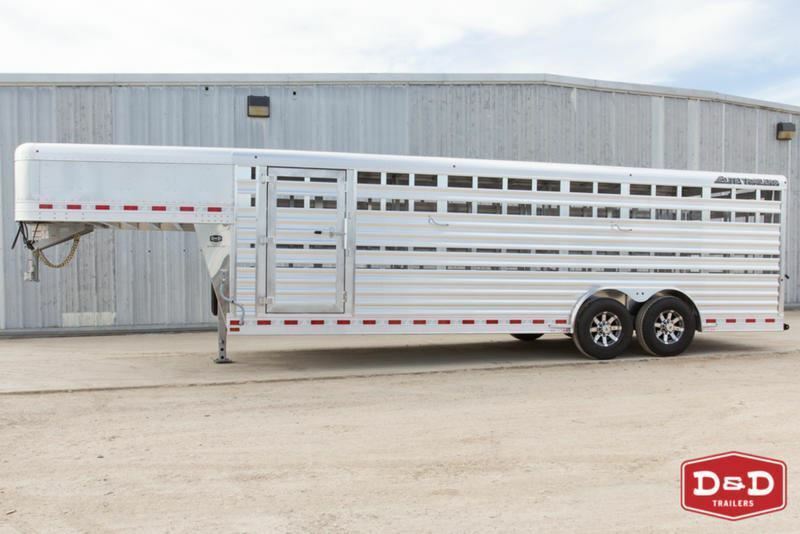 Livestock trailers including standard and custom stock trailers, show cattle trailer, low pro trailers for sheep and hogs, and livestock boxes. 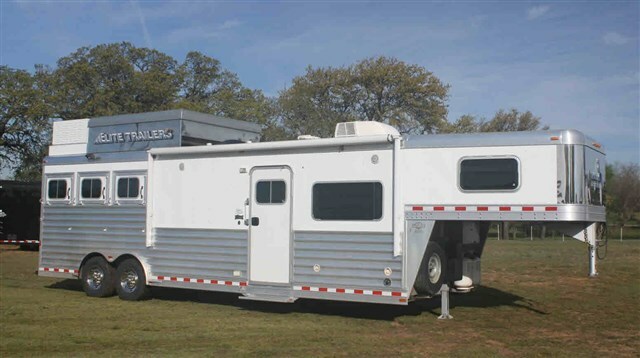 Motorsports trailers including car haulers, drag racing trailers, tractor pulling trailers, race haulers, stackers, and coach trailers. 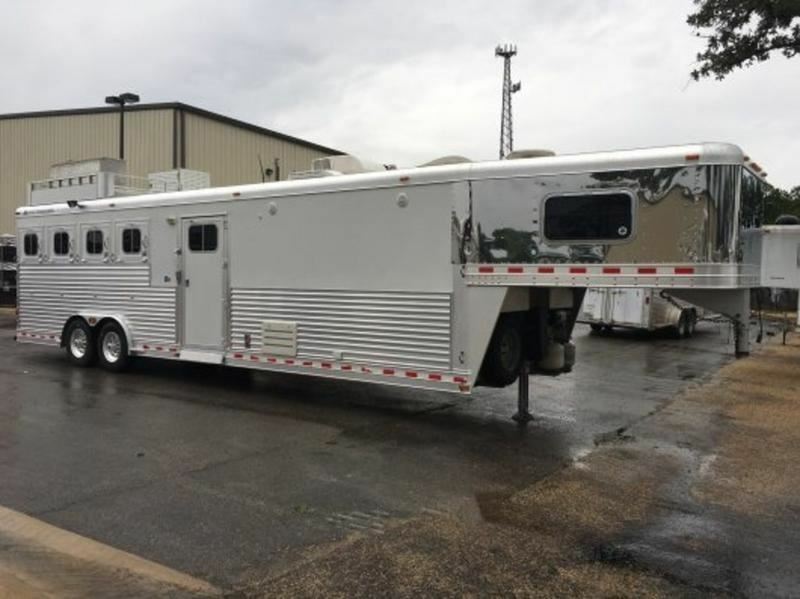 Also offered are cargo, specialty, and truck bodies for mobile command centers, mobile ops centers, vending, hospitality, mobile office/classroom, municipal, utility, oil field and more. 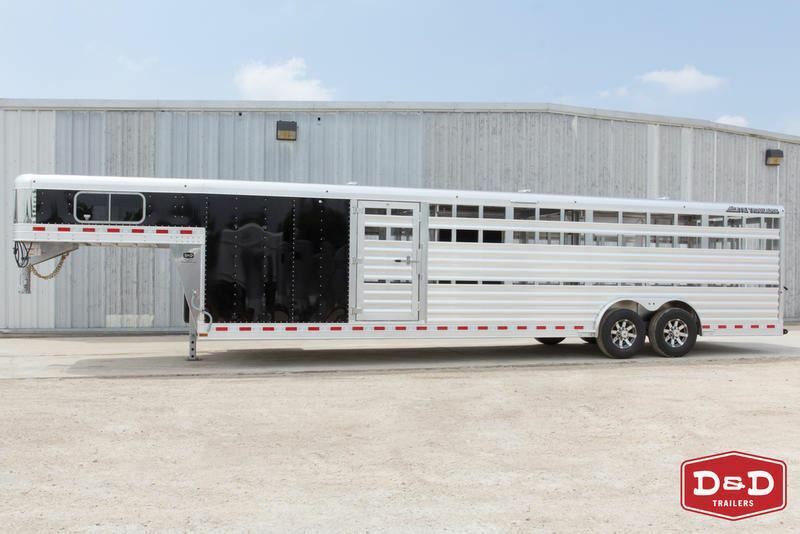 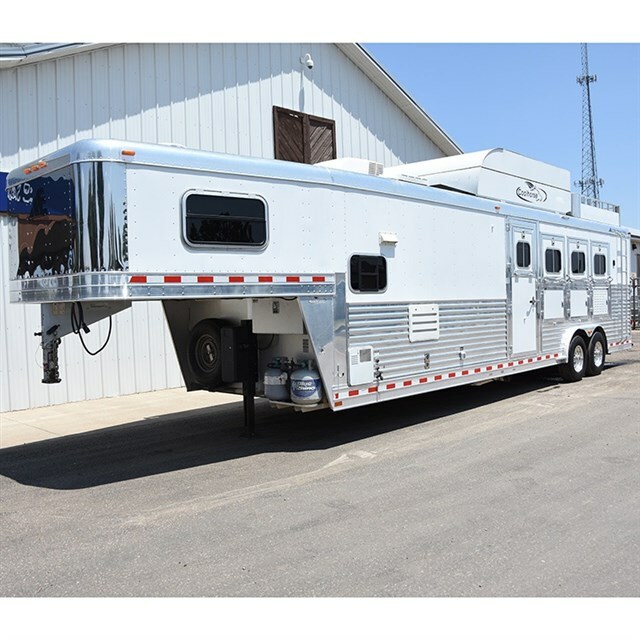 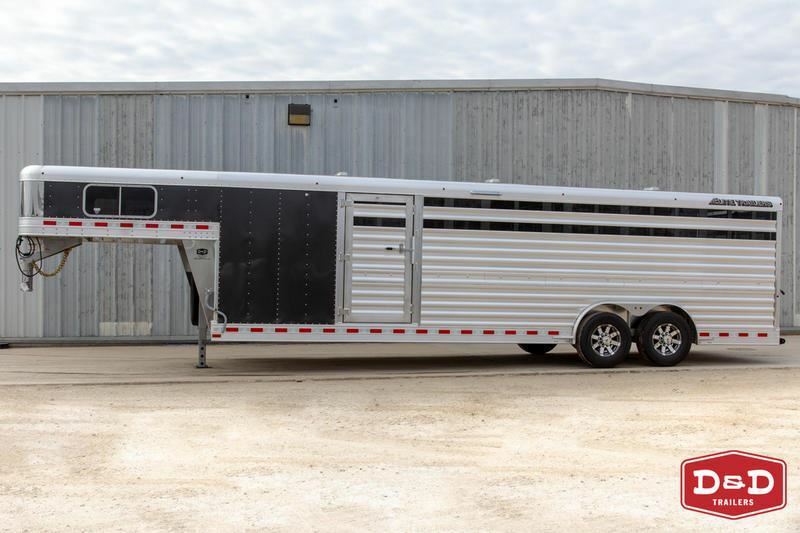 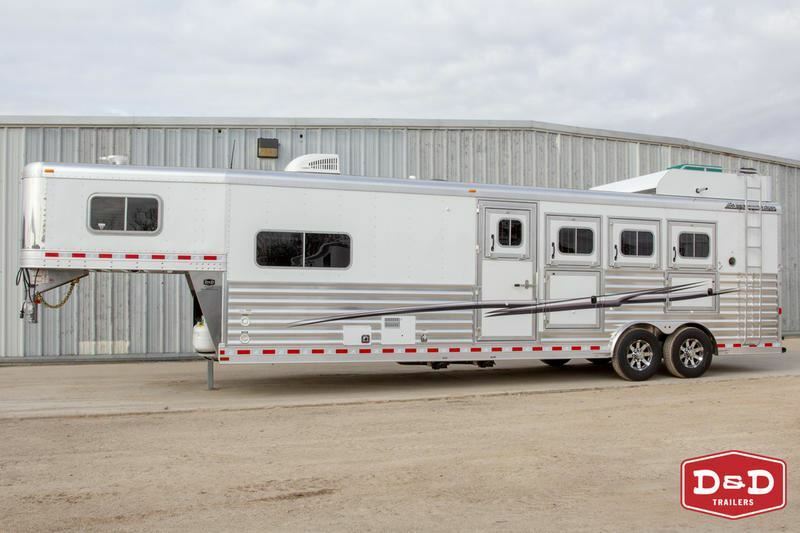 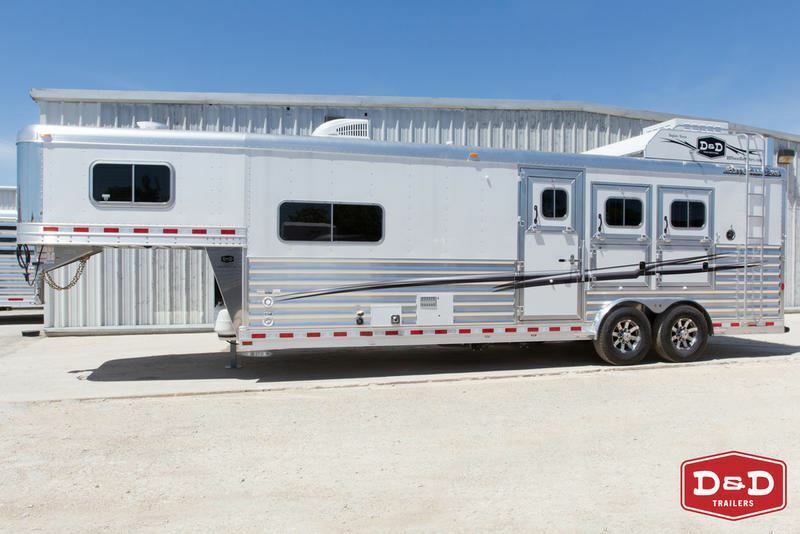 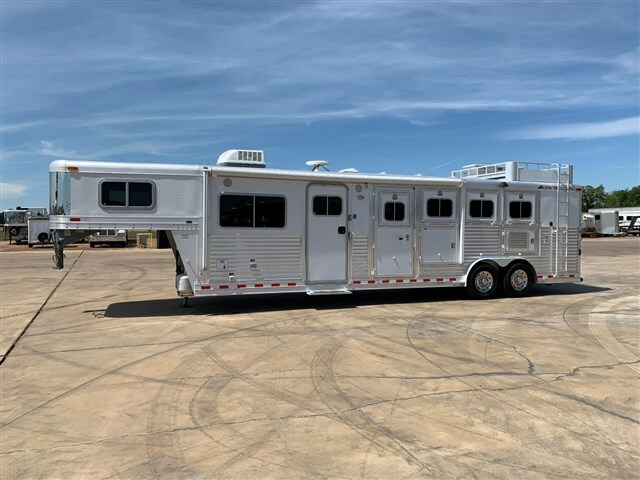 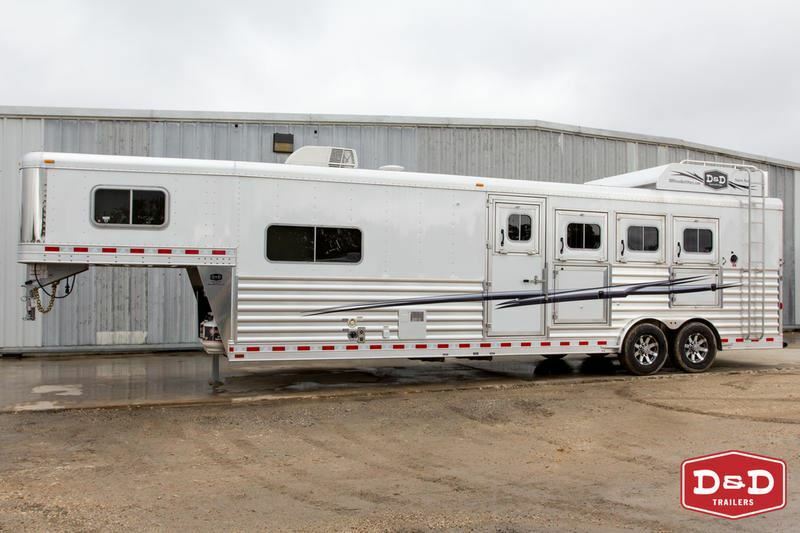 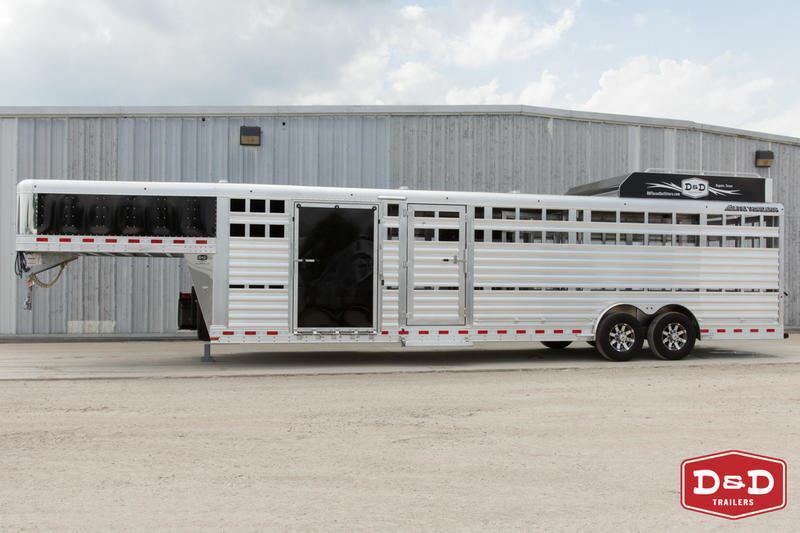 2019 5 horse Elite 5 HORSE SIDE LOAD 16'8" LQ 7' SLIDE OUT - WOWZA! 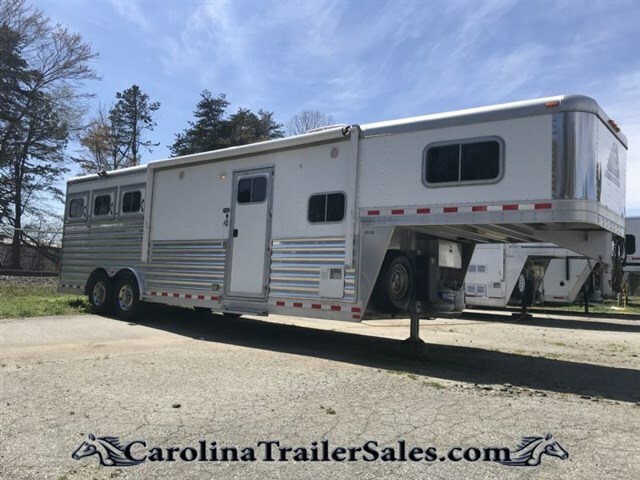 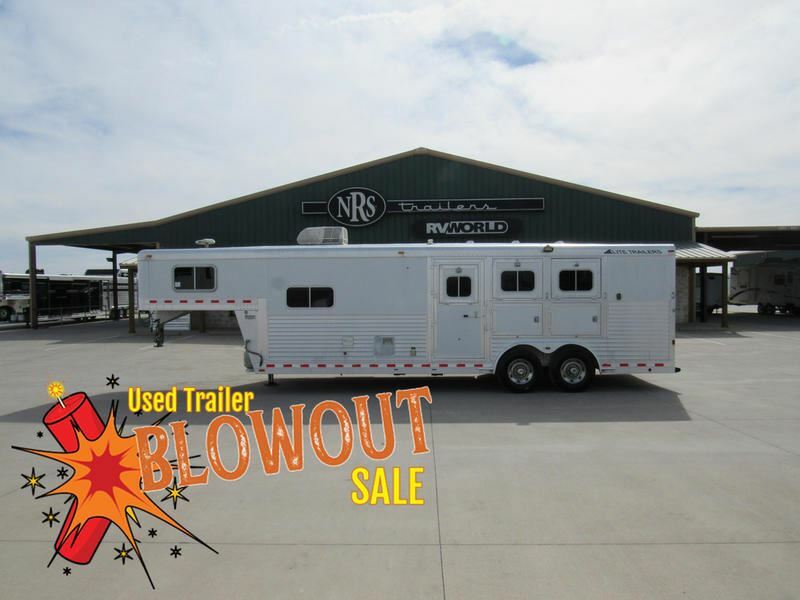 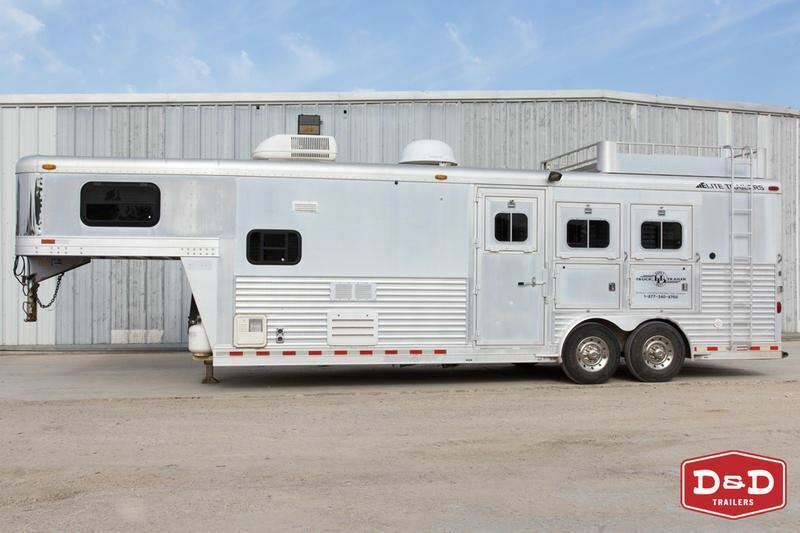 2019 4 horse Elite BLOWOUT SALE 4H 10'8 CUSTOM COMPASS LQ! 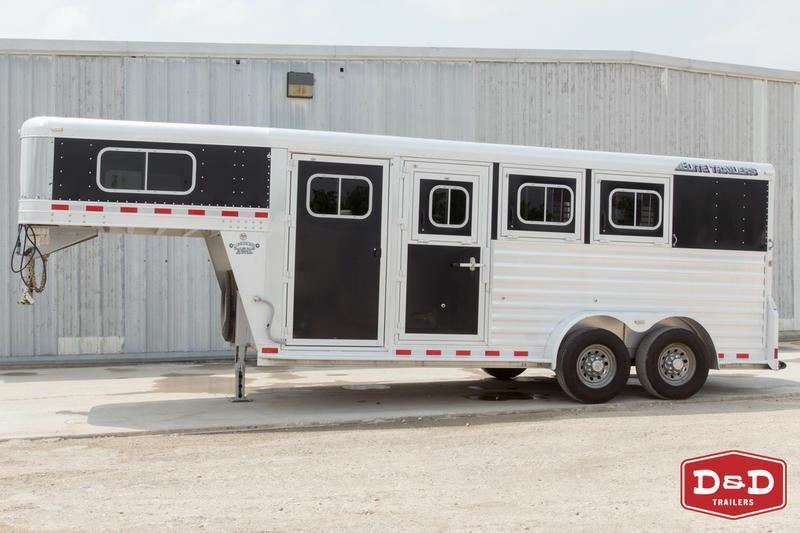 2019 4 horse Elite 4 Horse Mustang. 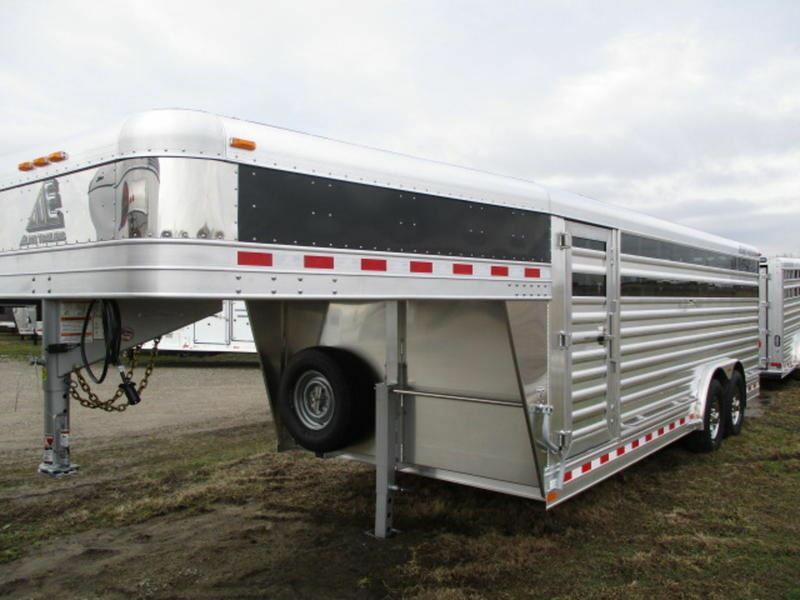 Fold Down Bunk Bed. 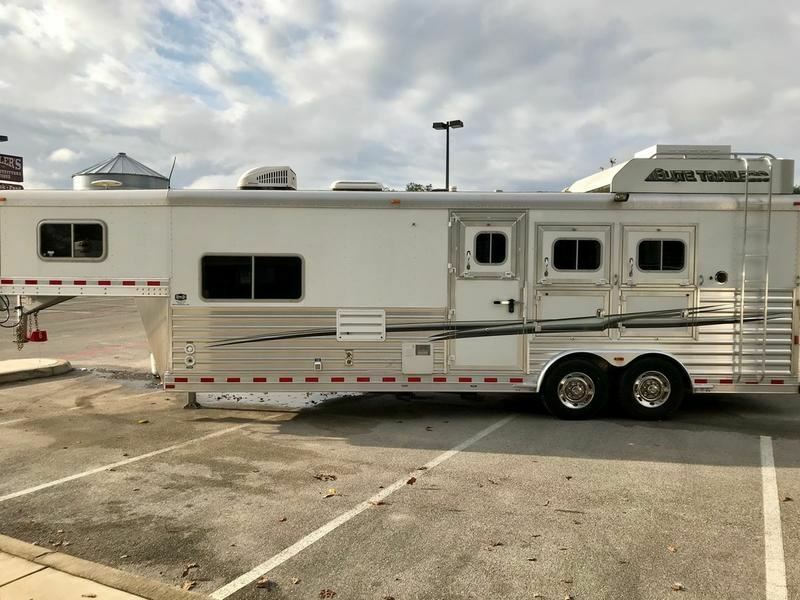 2019 4 horse Elite 4 Horse Custom Elite w/Trail Boss Conversion. 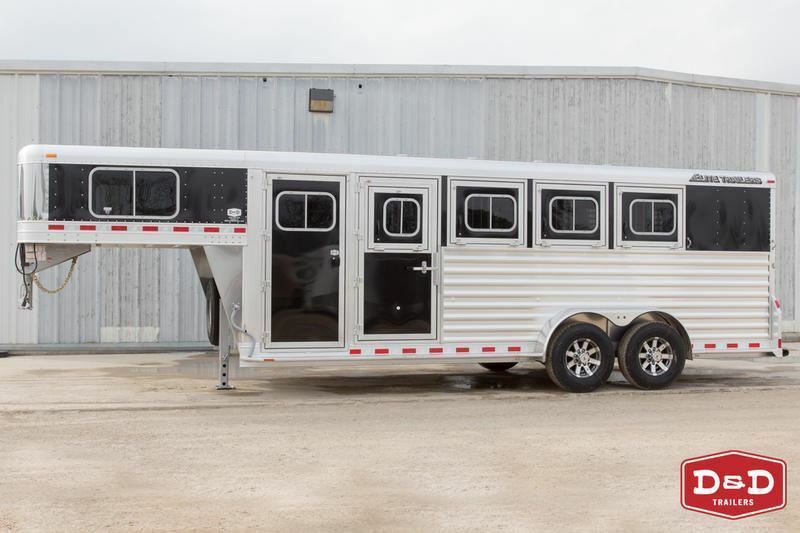 2019 Stock horse Elite Show Cattle stock combo 24 ft.
2017 4 horse Elite 4 HORSE 14'10"LQ - LEFT HAND TACK - VERY CLEAN! 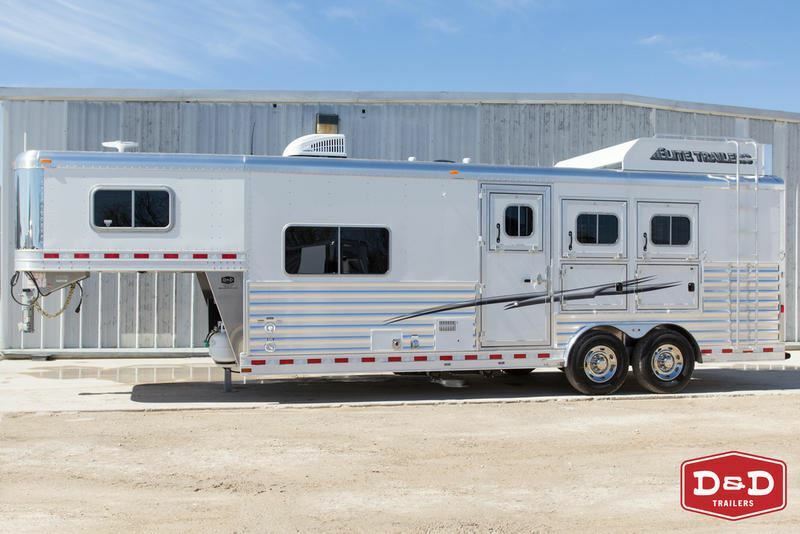 2017 3 horse Elite 3 HORSE LIVING QTRS. 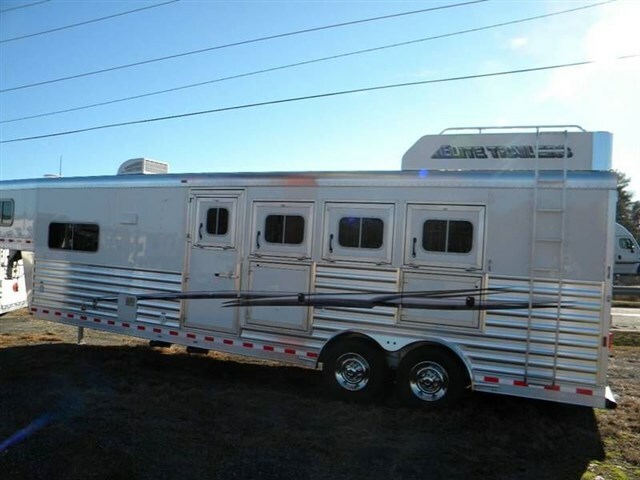 2010 3 horse Elite 3H 1.5 Full LQ PERFECT SIZE!!! 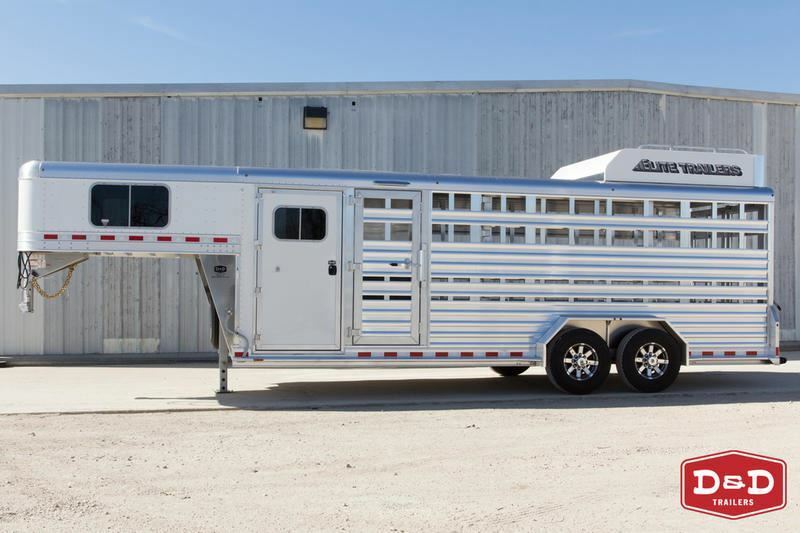 © Equine Media World. 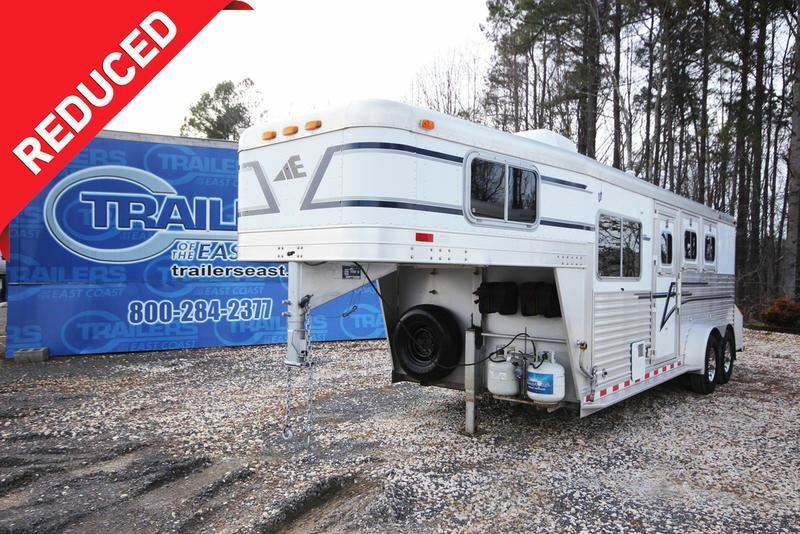 All rights reserved including digital rights.